RJE Business Interiors: Better than Drywall. Sustainable choices for your next office build. Better than Drywall. Sustainable choices for your next office build. It's rare to find a company as committed to sustainability as it is to creating innovative solutions and products. 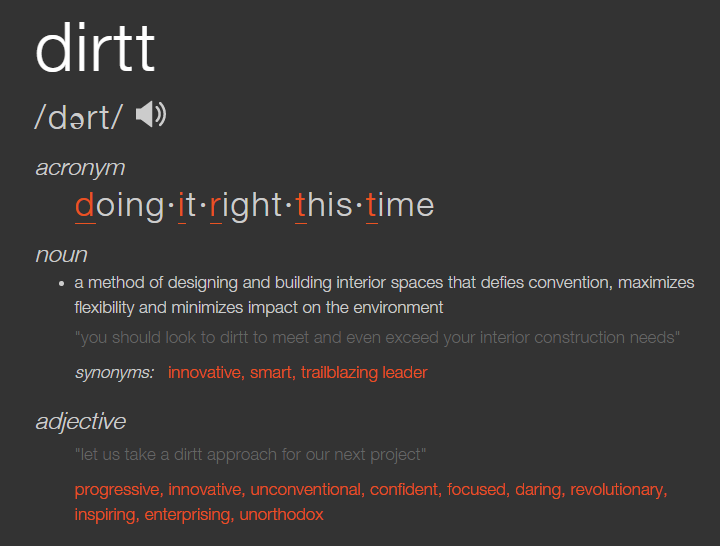 But that's exactly the kind of company DIRTT Environmental Solutions is. Sustainable practices are at the very center of everything that happens at DIRTT, from company culture to manufacturing. And they're proof that being environmentally responsible doesn't have to come at the expense of great design. DIRTT high- performance interiors are custom built, each installation both beautiful and functional. Their solutions are perfectly suited to almost any application. Clients across the world find common ground with DIRTT design in applications spanning commercial, healthcare, education, residential and beyond. At DIRTT, sustainability begins within their own walls – literally insulated with 100% recycled cotton (80% from recycled denim). By instituting programs and policies like composting, hybrid-vehicle employee incentives, fabric recycling and alternative energy utilization, they lead by example. The Pillars guide each area of their organization and ensure they remain focused and accountable. Building with less waste has always been a challenge in construction, but for DIRTT it is critical. Every aspect of their process has been designed to minimize waste, starting with their revolutionary ICE® 3D software. ICE® offers the user a graphical, interactive experience and reduces paper waste as changes are made instantly in virtual reality! This software optimizes the use of aluminum to minimize offcuts, as much as a third to a half of other manufacturers. 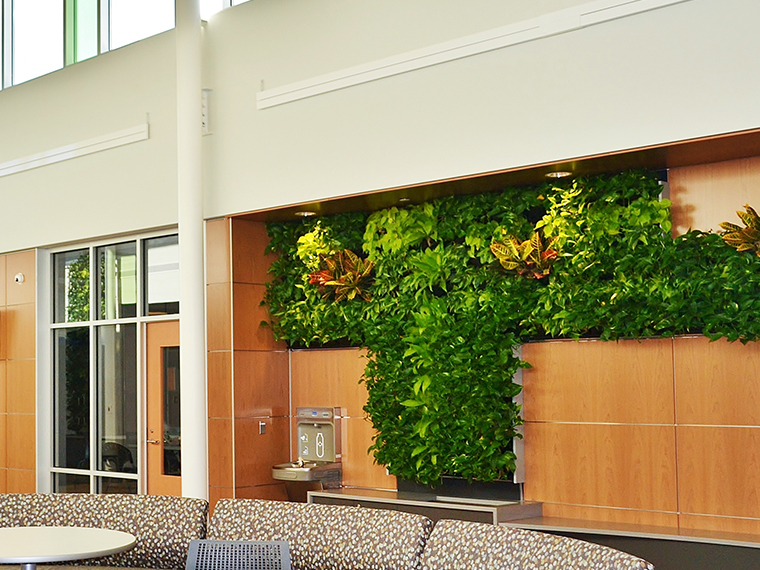 DIRTT takes steps to reduce their carbon footprint throughout the construction process. Strategic placement of manufacturing facilities across North America allows them to be closer to key markets and suppliers, reducing transportation costs. Process improvement teams constantly monitor workflow and equipment to maximize efficiency. Everything from extra cuts of fabric to sheet metal is re-purposed in some way. They donate fabric to Sewing Seeds International, a non-profit organization that teaches women in developing nations how to sew for a living. Even food waste on site is sent to a composting depot. Shavings of aluminum are collected during manufacturing and recycled. When it comes to materials, DIRTT only uses the most environmentally friendly options. Aluminum, glass, cotton insulation, and water-based, non-toxic finishes are the basis of their installations. 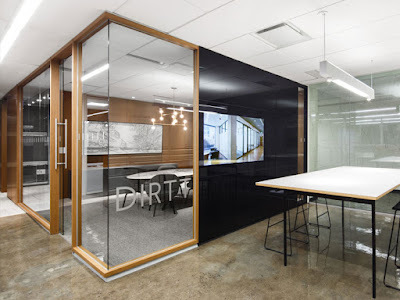 DIRTT recognizes that the long-time use of materials like drywall are not in the best interest of the environment – or public health. Gypsum, the main component of drywall, can be toxic to mine workers in quarries. Any scraps of drywall leftover from a construction job are sent straight to landfills, where they mix with organic materials and form hydrogen sulfide (that rotten egg smelling gas). Not only is hydrogen sulfide lethal to humans in high doses, it also contaminates water and threatens marine life. Unfortunately, this material hasn’t changed since its inception in 1916. Isn’t it time we do better? 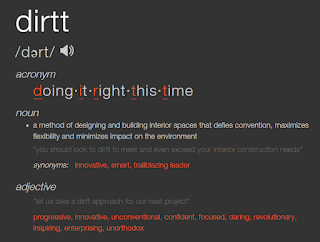 When DIRTT came on the scene in 2005, they began paving the way for a better way of building. Their innovative approach has earned them more than 25 awards to date. DIRTT’s suite of solutions includes walls, millwork, power, networks, ceilings, doors and flooring. Like minded in their company culture, RJE and DIRTT make the perfect team. We partnered to offer functional, environmentally responsible wall solutions for any application. Get inspired by touring hundreds of installations in the Fresh DIRTT gallery and contact us today to get started!